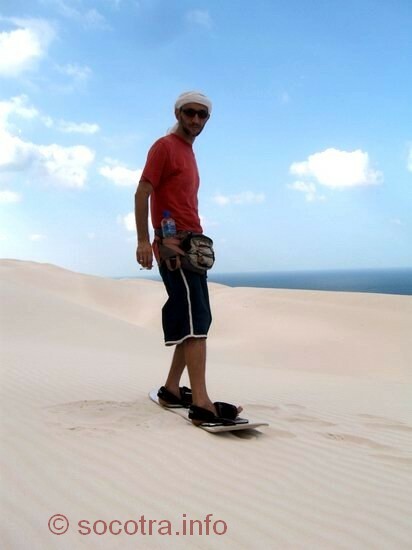 Socotra is a unique place, as if specially adapted for this unusual entertainment. 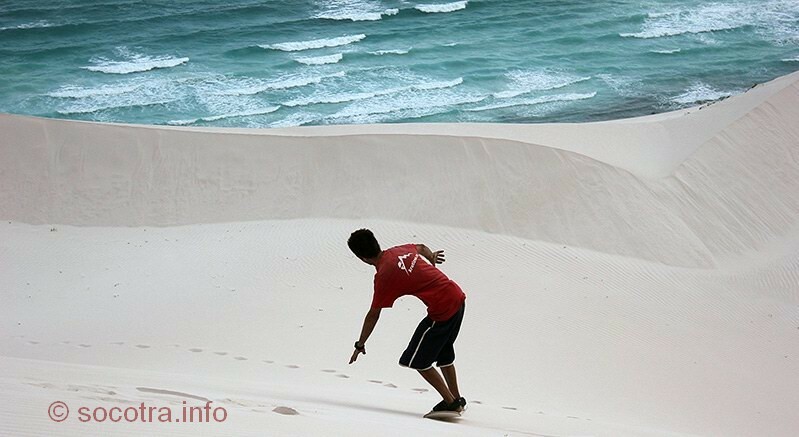 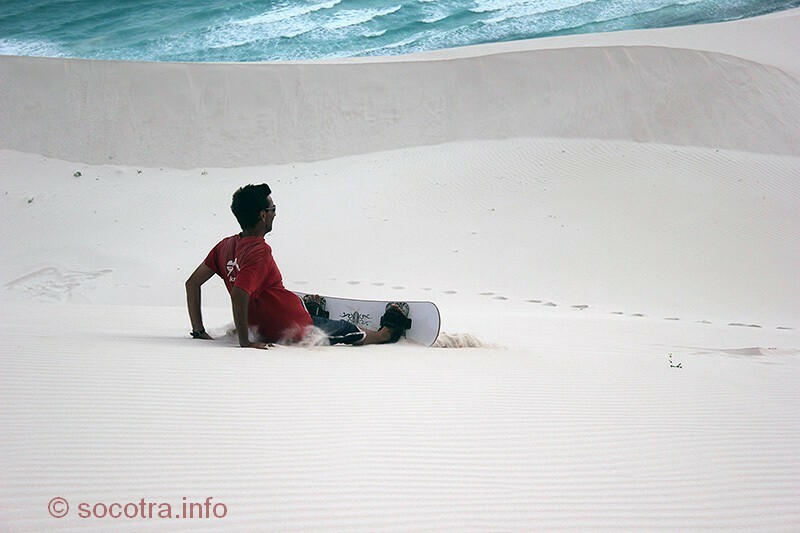 For all our guests we offer sandboarding - new attraction on Socotra. 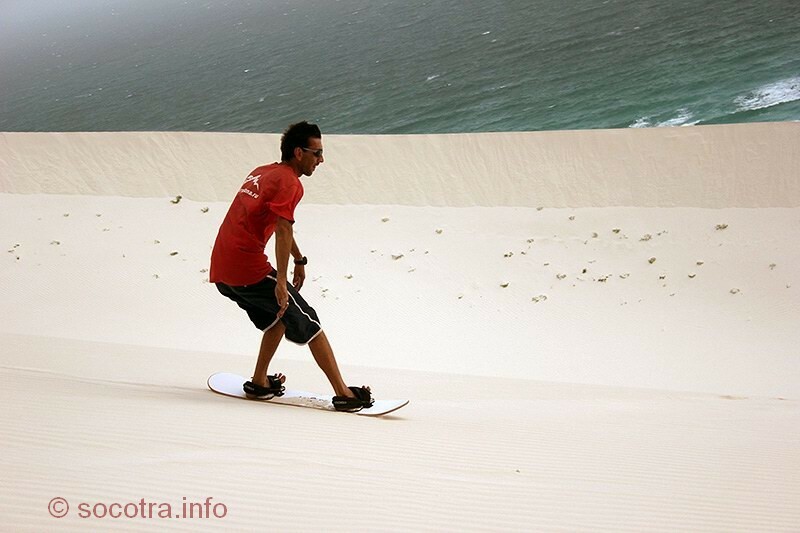 Sandboarding - is riding on a special board on the sand dunes. 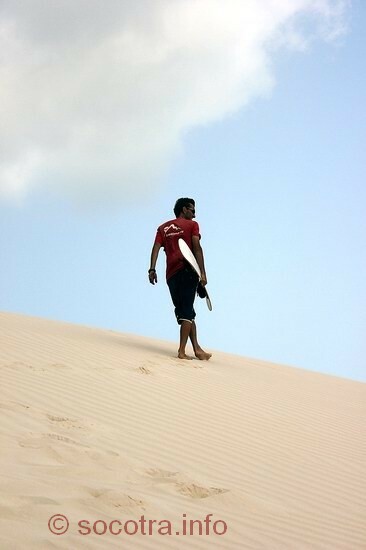 All our guests are happy to ride on the sand dunes on Socotra. 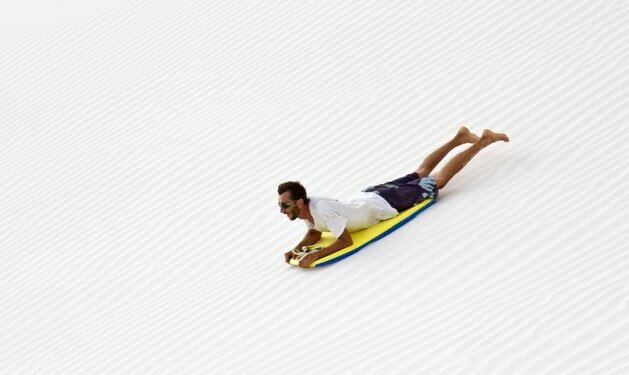 Without exception all the guests ride them, even a respectable age ladies! 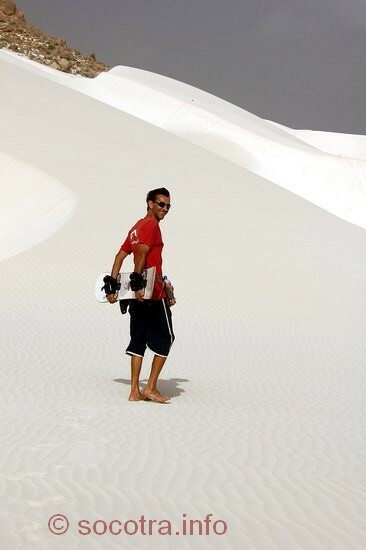 This is a completely safe way to ride on the sand dunes on Socotra. 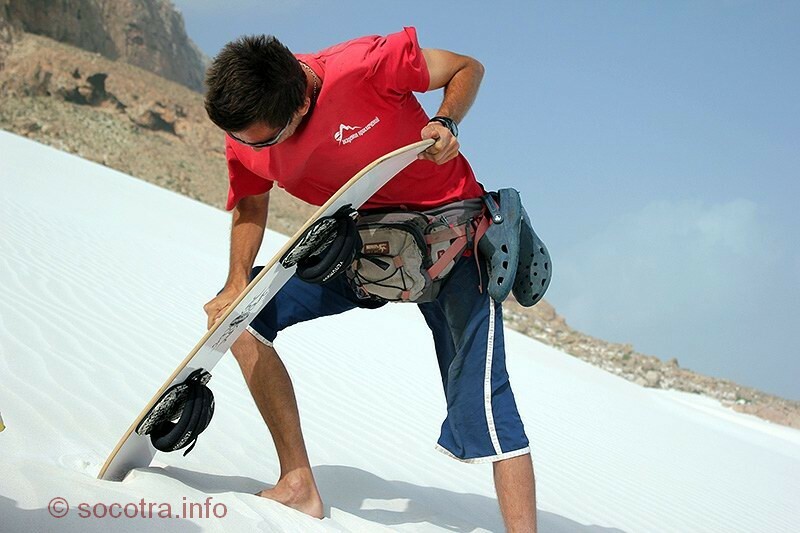 Simple training is conducted on a small hill, then follow the higher hill where you can get a good speed. 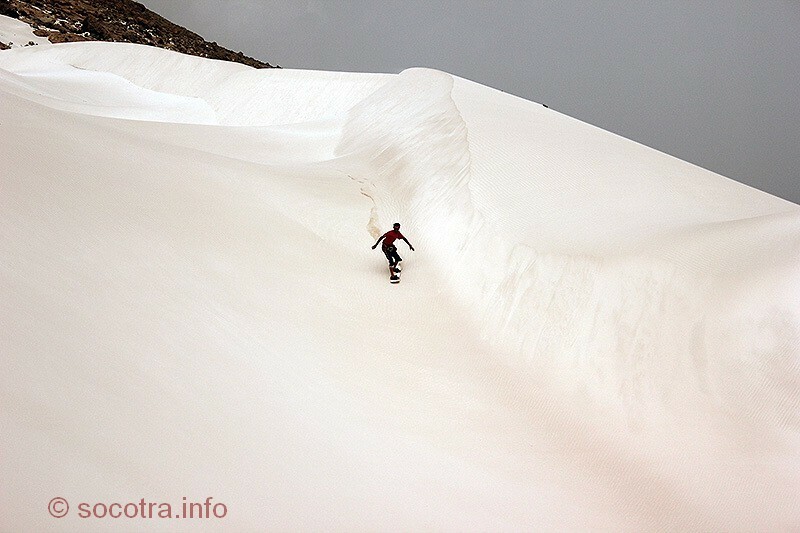 And finally - our special "bobsleigh" route with a few turns. 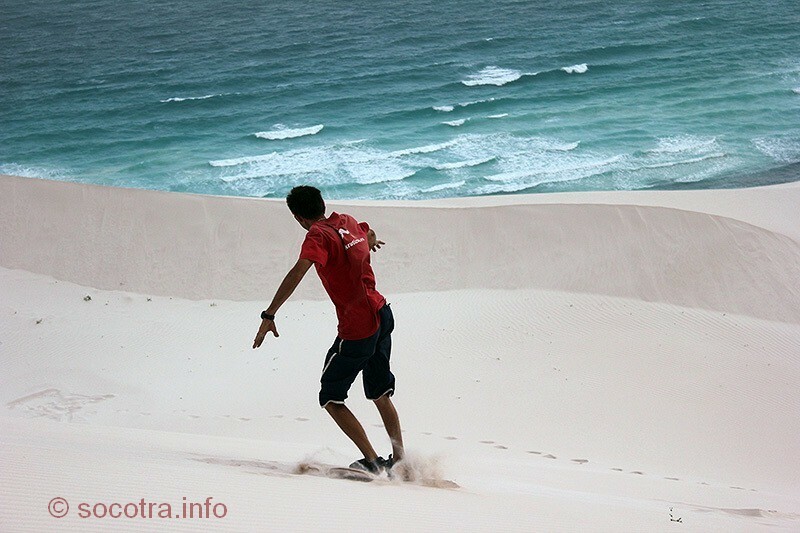 Our video shows the new entertainment on Socotra. 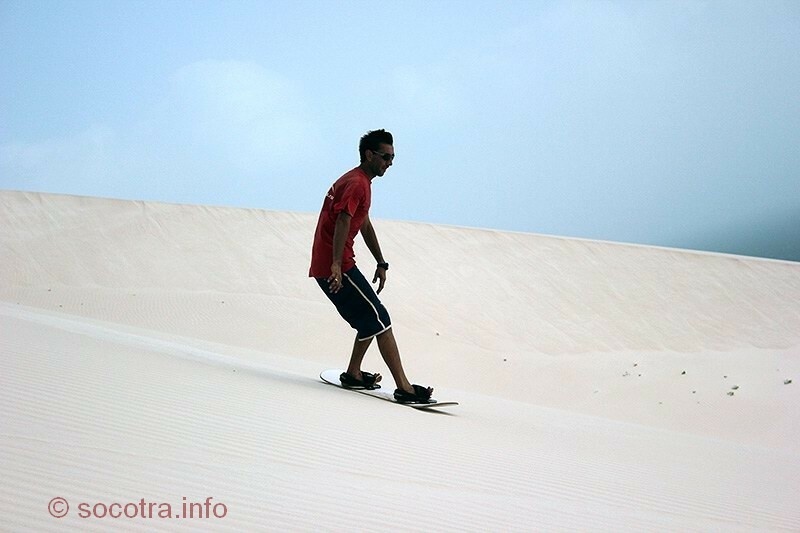 Write to us if you want to ride on the dunes.